Do you ever have to teach a unit that might not be your favorite? Did you ever have to pretend to abso-lutely love the topic you are sharing with them? Try to ever make a weak unit EXCITING and AMAZING? 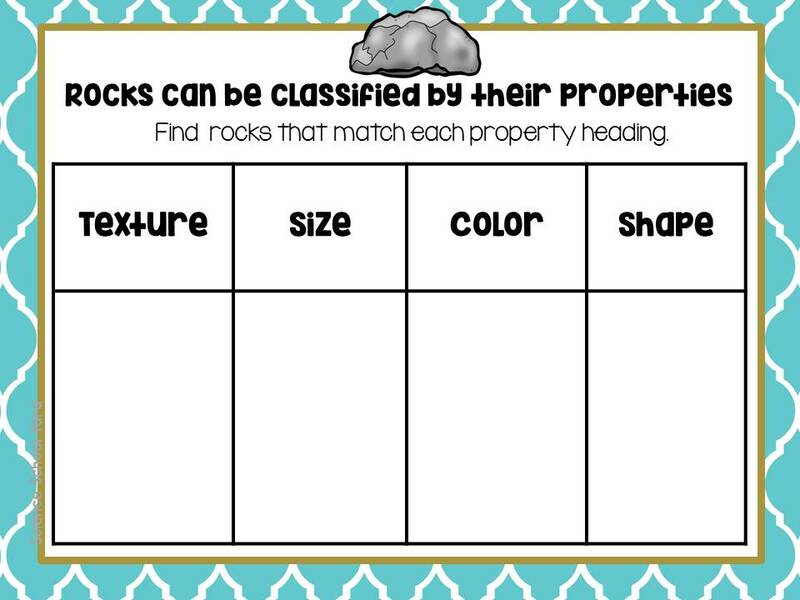 Rocks are one of those topics that I have had to really work at in order to create engaging and fun lessons to get my students engaged. Well having to teach FOSS Pebbles, Sand, and Silt as well as FOSS Earth Materials was my BIG challenge. 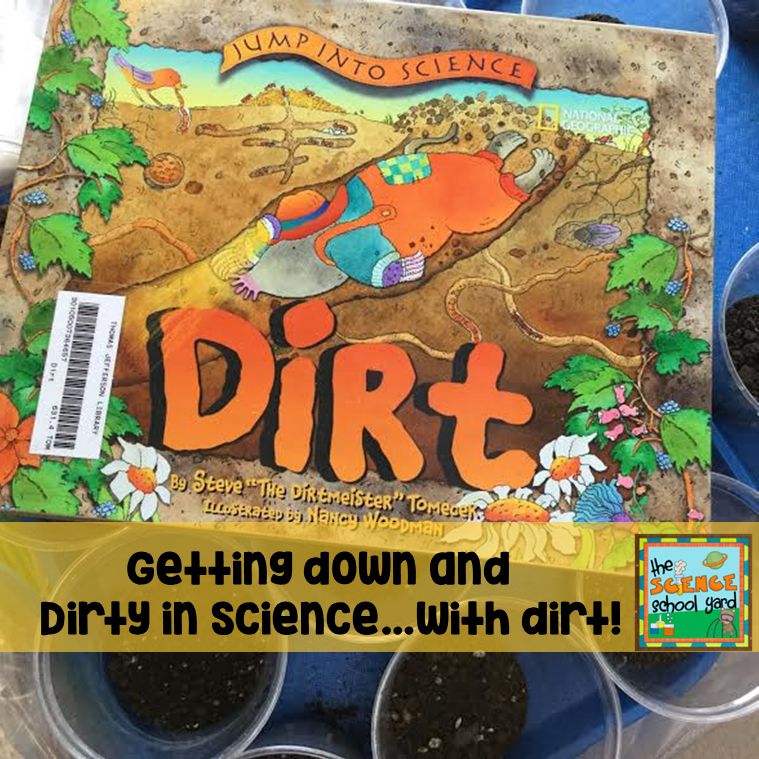 So how do you make science lessons more engaging? 1. Find hands on activities to get them actively engaged! Hands on fun exploration! 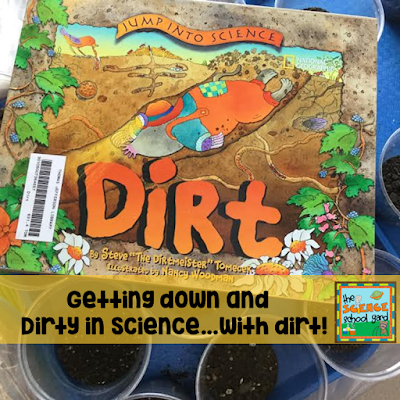 Bring in resources, dig around your house for ways to get your kiddos digging in and learning from letting them play with a purpose! 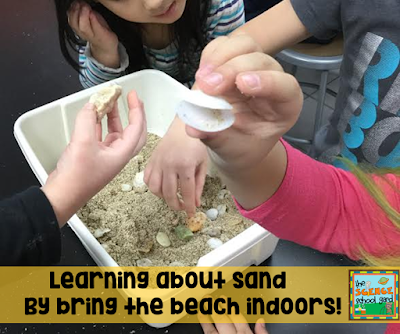 For example, bring in shells and sand from the beach to learn about sand. Let them play in it as a reward for working so hard! 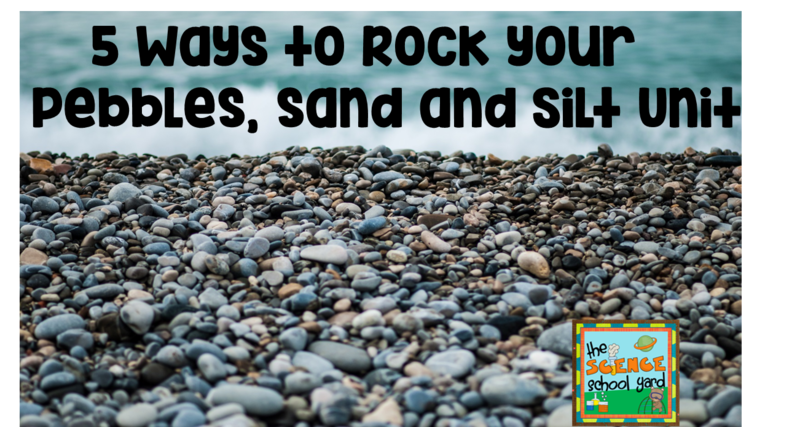 Have lots of great samples for them to learn from....rocks, rock! 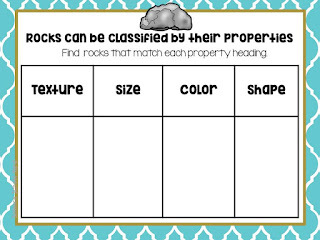 Introduce fossils...volcanoes...and even scavenger hunts around the school looking for how we use rocks! 2. 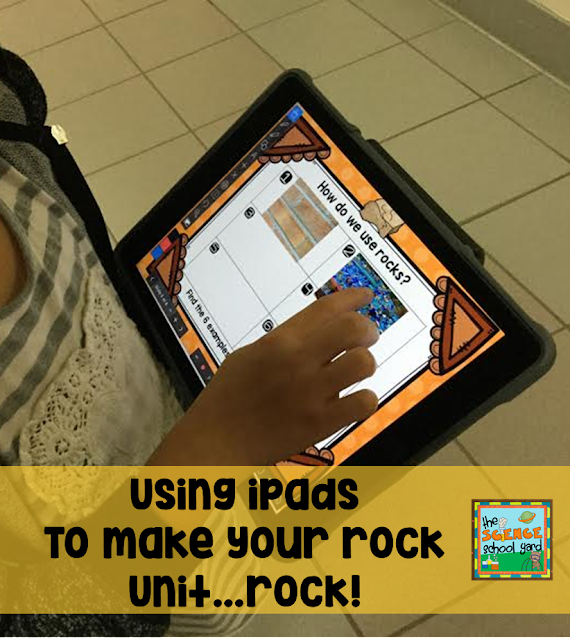 Use digital devices to connect your students to their activities on line! Not only do we use Explain Everything to upload our activities to our background, our first through 5th graders actually take pictures to include what we are learning about, record their voices to share what they learned, and even make animation! I have to say...now that we do this...my students are more engaged and are more excited about the topics. 3. Use resources that are unique to spur excitement. 4. Grab a great picture book and get to reading and engaging through the message of your non-fiction book! 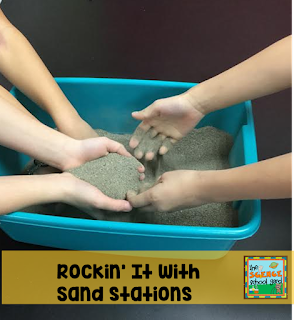 From rocks...to volcanoes...fossils...to sand... bring in an engaging story to springboard an activity off of. See the fossil puzzle above? 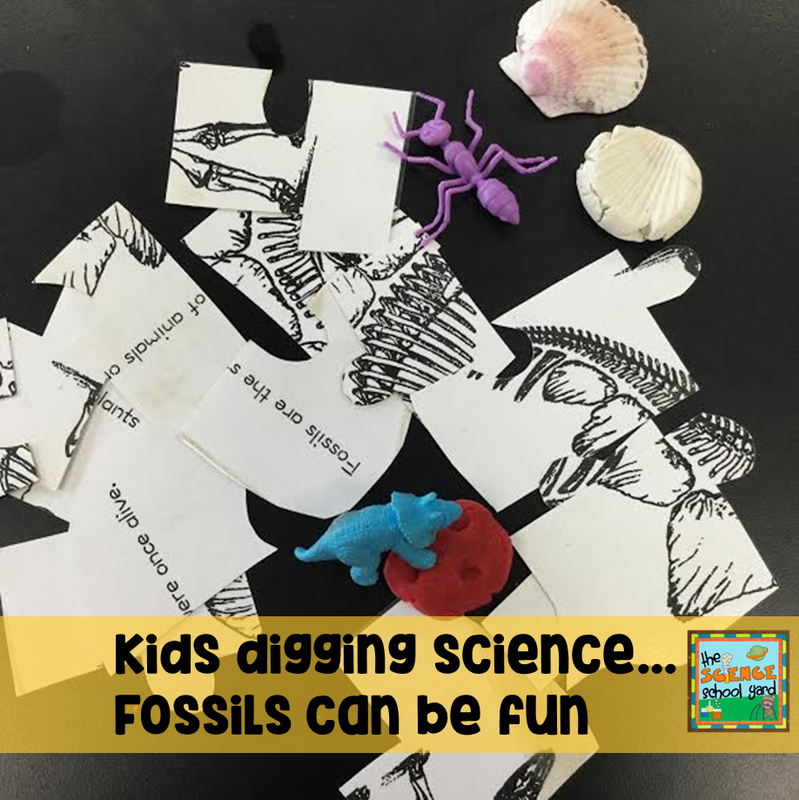 See the play dough and an easy way to make fossils? See the buckets of sand and shells? 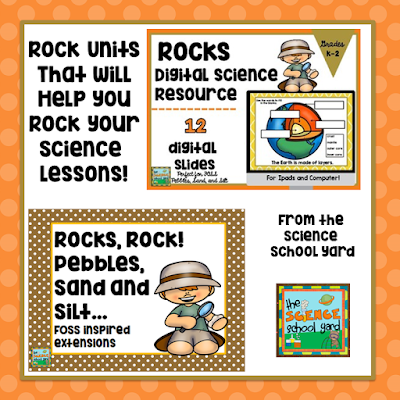 Our rock unit is a great way to bring in the idea of soil and dirt as well as worms! Be excited and find a small corner of time in your week to make YOUR science school yard...child's play! 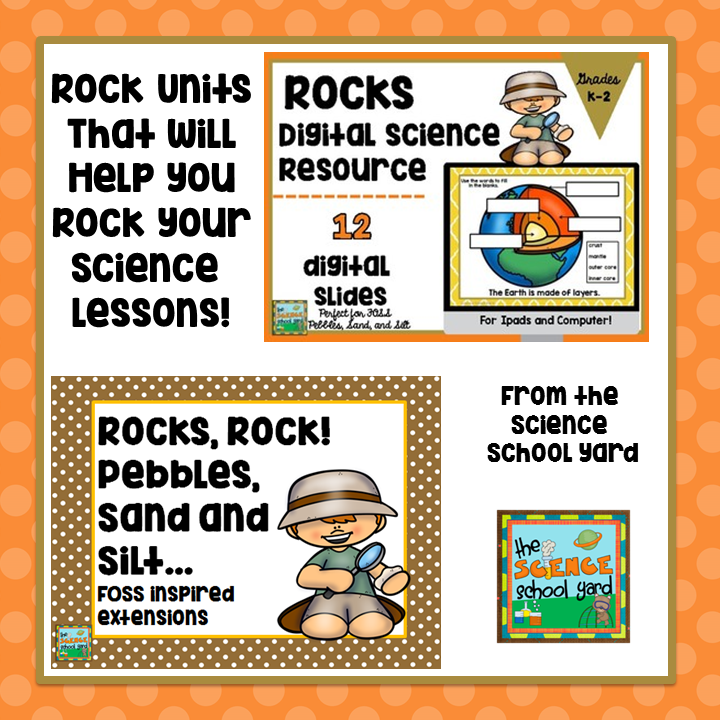 Need some help finding great resources that will rock?